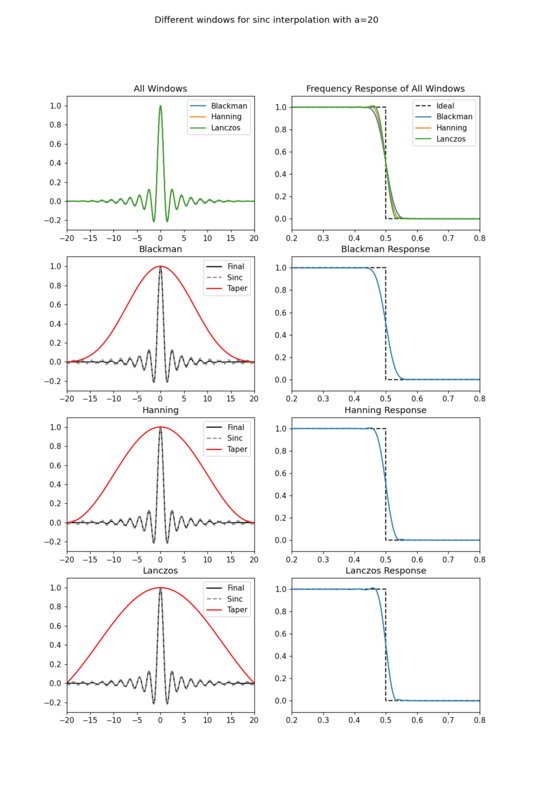 Helper function producing a plot of all available tapers of the sinc function and their response for the Lanczos interpolation. a (int) The width of the window in samples on either side. filename (str) The file name to save to. The plot will be shown if it is not given.